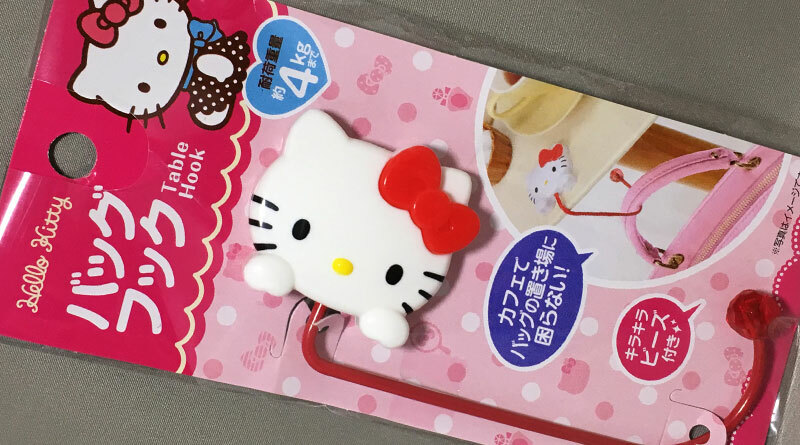 The pad part that rests on the tabletop is shaped into Hello Kitty, which can swivel and rotate for storage. A non-slip cushion on back keeps the table hanger attached firmly on the tabletop while protecting the surface from scratches. 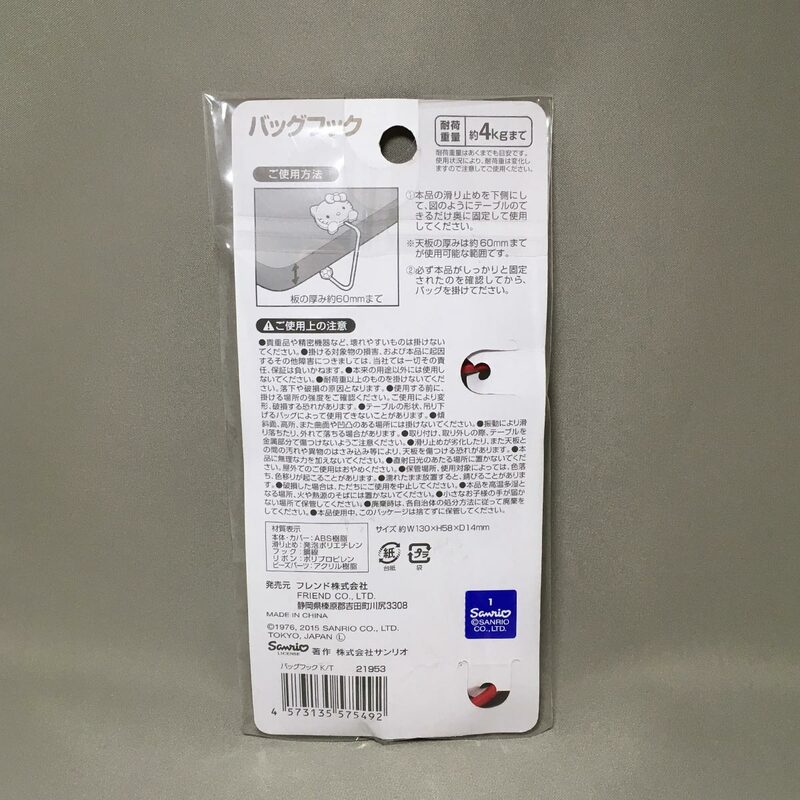 The end of the hanger is decorated with a shiny red bead, which prevents the bag from falling off the hook. 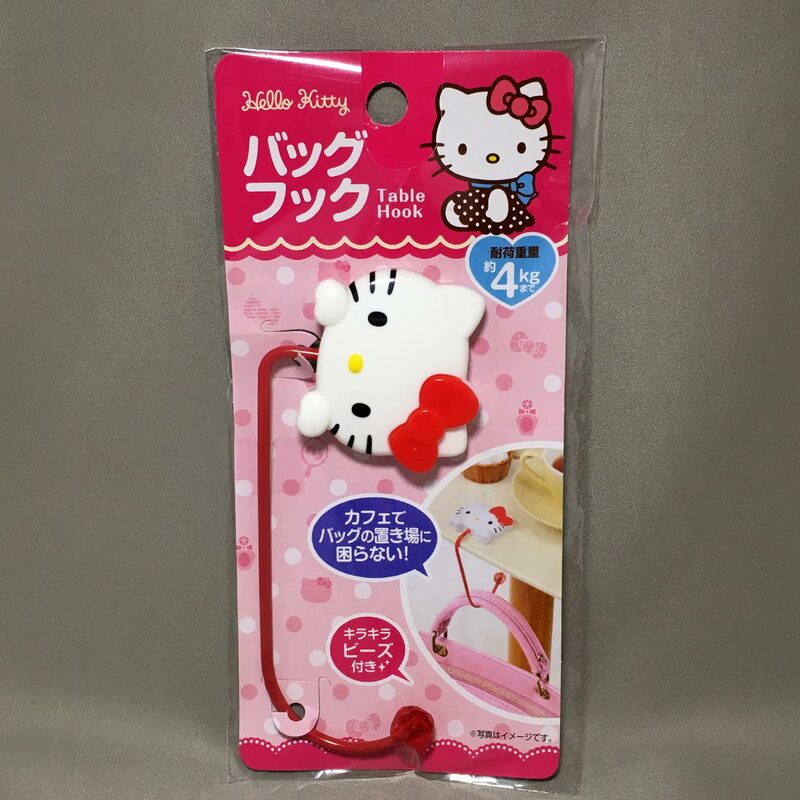 The table hook is a licensed product from Sanrio (Sanrio seal on the back packaging). 1. 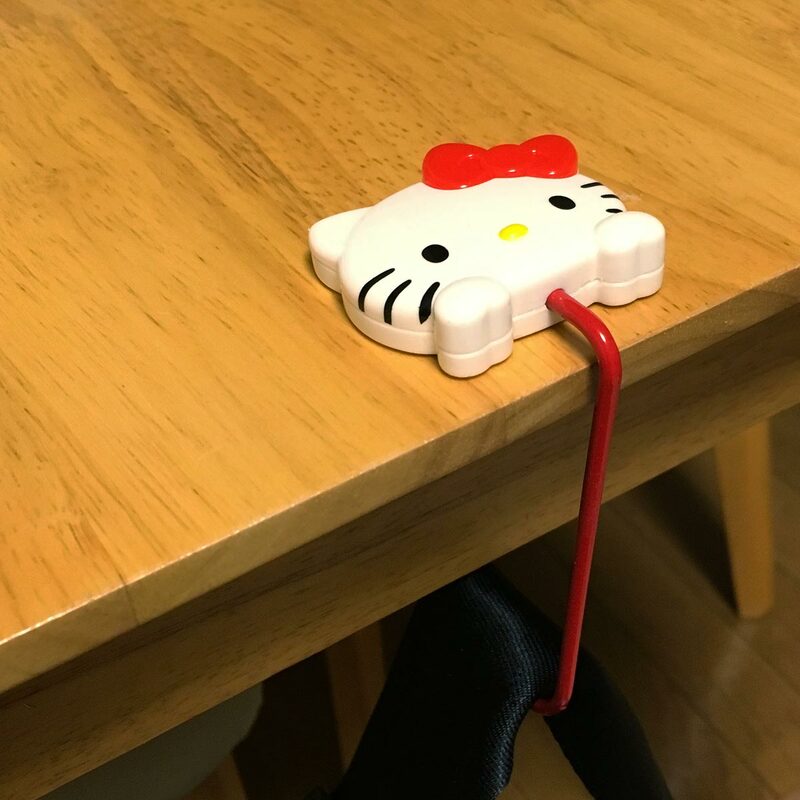 Rotate Hello Kitty until it rests horizontally on the table top. * Can be used on tables up to 60mm thick. – Do not hang valuable items, precision machinery or fragile items on the hook. – Do not items that exceed the maximum carry load as it may cause the item to fall off the table hook. – Ensure the table top is sturdy before using the table hook. – Depending on the shape of the table, the table hook may not rest securely to the table top. – Do not use on slanted, high, or uneven surfaces. – Vibrations may cause table hook to fall off. 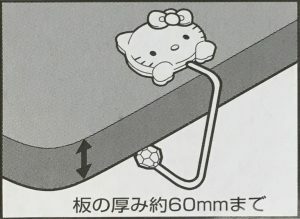 – Ensure the metal hook does not damage the table when placing or removing hook. – Worn non-slip cushion or dirt, foreign items caught between the pad and the table top may cause damage to the table top. 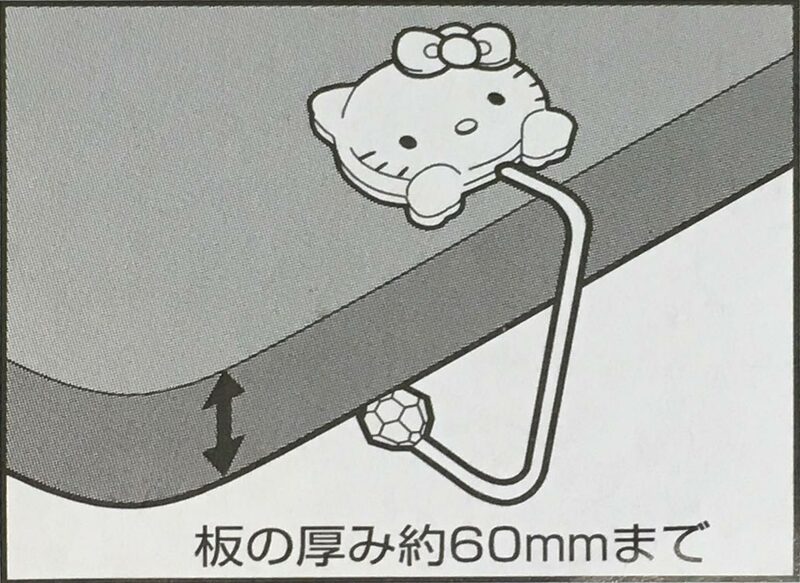 – Do not apply force to the table hook. – Keep away from direct sunlight. Do not use outdoors. 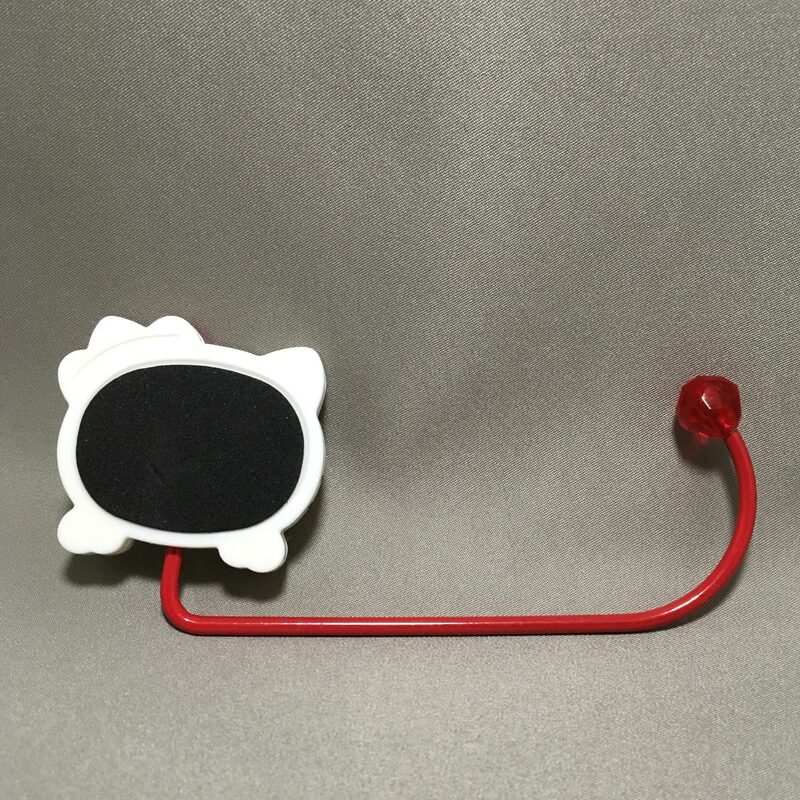 – Depending on storage place or used environment, the table hook color may fade or bleed color. – Table hook may rust if kept in moist environment. – Do not use if there are any damage to the table hook. Yes, it’s Hello Kitty again. You can’t get enough of her. 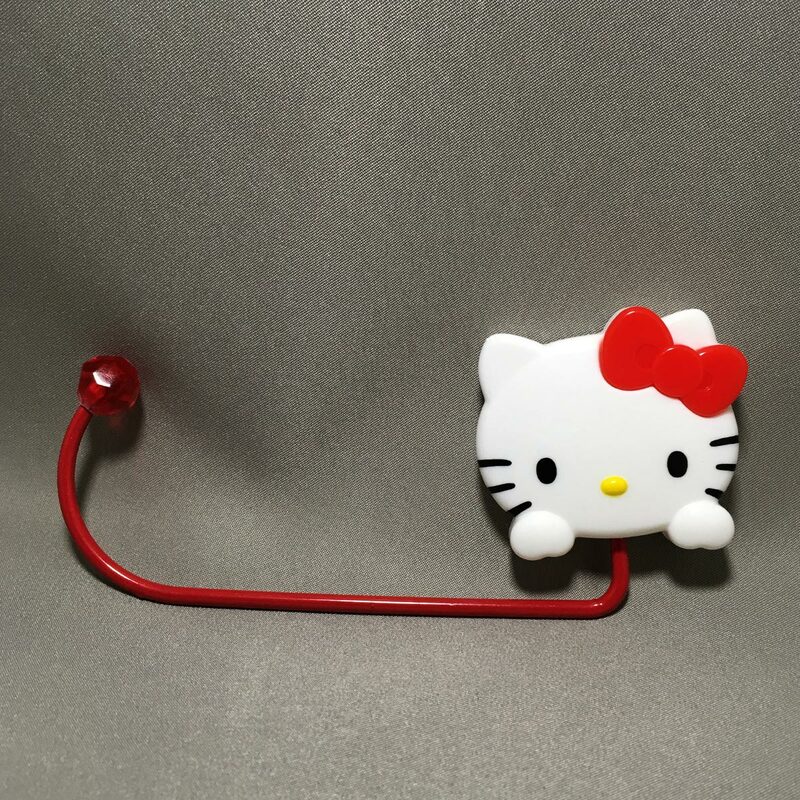 This table hook is very similar to the Mickey Bag Hanger also from Daiso.